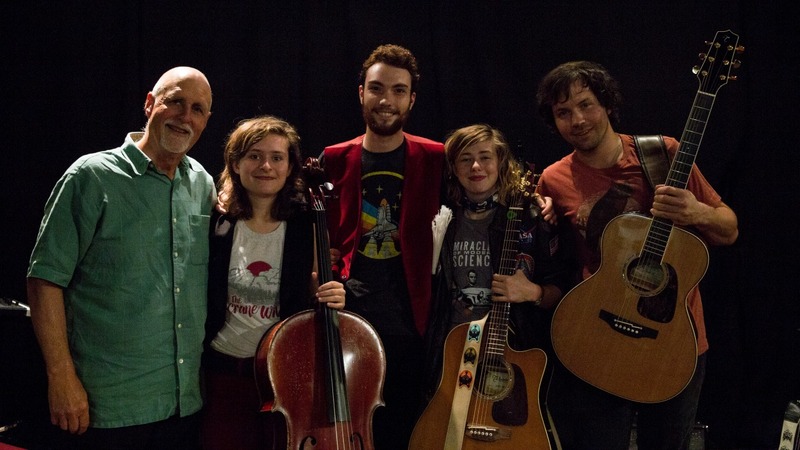 The Accidentals were formed by two self-described "orch-dorks," Savannah Buist and Katie Larson, who were teamed up for a special project by their high school orchestra director in Travers City, Michigan. Discovering that they both came from musical families and shared wide-ranging musical tastes, they began to write original songs and play together. With the addition of Michael Dause on percussion, they became a dynamic trio and now, with Jake Allen on guitar, a quartet. Now, just a couple years out of high school, they've created a buzz that has spread from the Midwest to the rest of the country. Odyssey, their third album overall and tyheir first for a mjor label (Sony Masterworks), is stocked with well-crafted melodies and vivid lyrics. In this session for Sunday Supper they performed three songs and discussed their personal odyssey, their ambitions, and what makes their sound "ragged but right."